KABUL, Afghanistan — It was a routine check. Two vans, both without license plates, were stopped earlier this month by police in Afghanistan's eastern Ghazni province, where Taliban hold sway in large swaths of the countryside. Inside, police found 27 boys between the ages of 4 and 15, all being taken illegally to Pakistan's southwestern Baluchistan province to study in seminaries called madrassas, according to a police report acquired by The Associated Press. The police called it child trafficking and threw the drivers and the only other adults, two men who organized the convoy, into jail. But the parents said they wanted their children to study in Pakistan and had willingly sent them to Quetta, the capital of Pakistan's sparsely populated Baluchistan province on the border with Afghanistan. 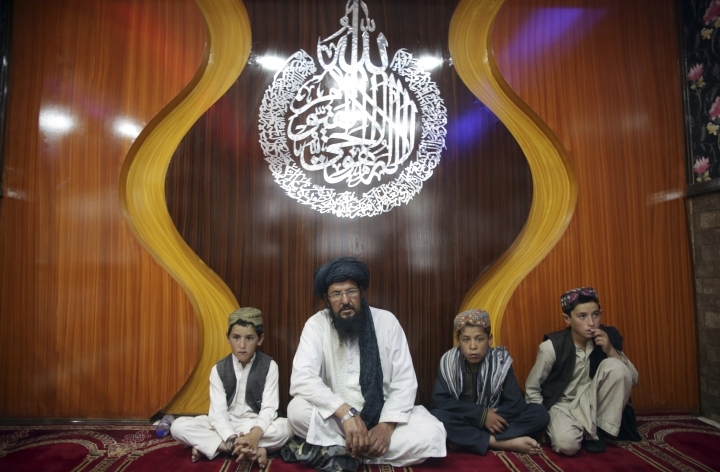 Quetta is significant to Afghanistan's Taliban, many of whom graduated from madrassas there. It is also considered the headquarters of the Taliban leadership council, which is widely referred to as the "Quetta shura." An Afghan counterterrorism official, who spoke on condition of anonymity because revealing his identity could endanger him, said Afghan intelligence has identified 26 madrassas in Pakistan where it suspects future generations of Taliban are being trained and in some cases instructed in carrying out suicide bombings. Several of the 26 madrassas he identified were in Quetta. Sheikh Abdul Hakim madrassa was among the Quetta schools the Afghan official identified as a Taliban recruitment center. The AP went to the madrassa and was told the director, after whom the madrassa is named, was on a missionary sabbatical to preach Islam, but a teacher, Azizullah Mainkhail, said some students at the madrassa were from Afghanistan. The majority, however, he said are Pakistanis from villages throughout Baluchistan. He denied affiliation with the Taliban or Pakistan's powerful intelligence agency known by the acronym ISI and accused by Afghanistan of supporting the Taliban. The madrassa is massive, surrounded by high walls that shelter several buildings of mud and cement. Mainkhail said 350 students live and study there. A separate attempt in Ghazni province to move children across the border, also for religious education, was foiled by police about two weeks ago, the Afghan official said. 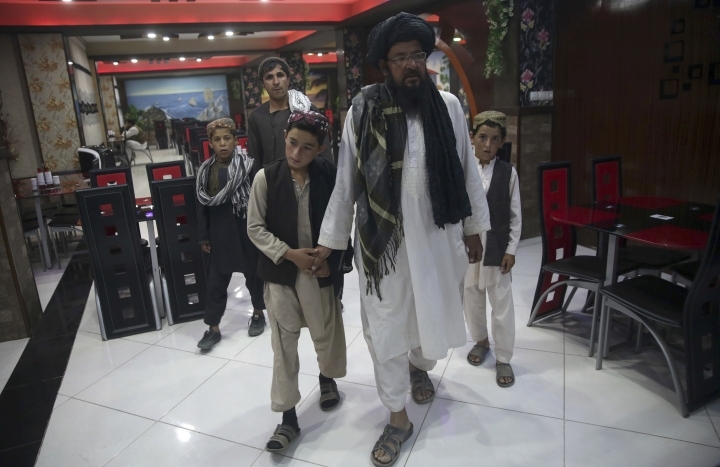 The 13 children, from neighboring Paktika province, were also destined for religious studies, this time in seminaries in Pakistan's sprawling Arabian Sea port city of Karachi. 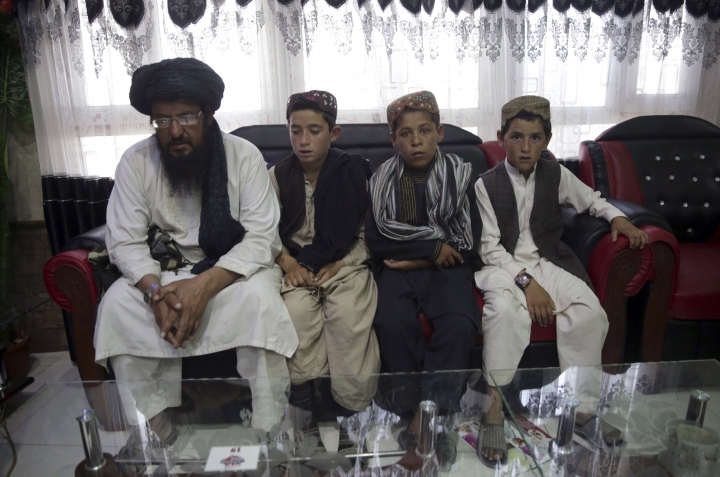 Traffickers "wanted to take our innocent children to the terrorist centers on the other side of the border under the pretense of Islamic studies," Ghazni Police Chief Mohammad Mustafa Mayar said. War, poverty, insecurity and a lack of understanding by families of the dangers awaiting their children all combine to drive the child trafficking trade in Afghanistan, said Mohammed Musa Mahmoodi of the Afghan Independent Human Rights Commission. Each year there are at least three or four cases of children being smuggled from province to province or across the international borders, sometimes to be used as cheap labor, other times to be recruited by the Taliban under the guise of religious education and other times for sexual abuse, says Mahmoodi. Still, he said the problem is much greater than the few busloads of children intercepted would indicate, but corruption and a lack of training in the ways of child traffickers makes it a lucrative and fairly safe trade in Afghanistan. Several years ago a child trafficking ring that had taken children to Saudi Arabia to be used as cheap labor was busted, he recalled. "Parents often agree to send their children but they don't know what is awaiting the child. Sometimes they are told they will be educated or will get a good job and be looked after," said Mahmoodi. "But when they get there they are beaten, forced to work as cheap labor, taken by Taliban as new recruits." Mohammed Naseer spent several weeks arranging for his son, a nephew and several other children from his district of Ander in Ghazni province to go to Quetta to study the Quran. His son Mohammed Yaseen is just 9 years old but he said he was excited to be going to Quetta. 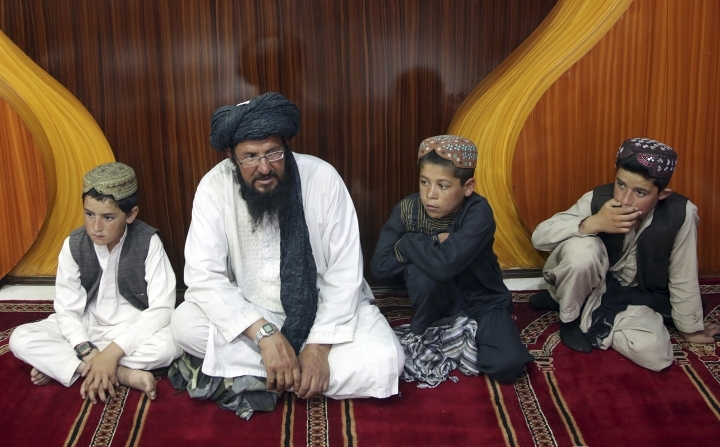 His dream: "I want to be a mullah (cleric)." Naseer, who wore a black turban and a long black unkempt beard, said his son had studied three years in a village school but he still could neither read nor write, not even at a rudimentary level, in his native Pashto language. He said the village school even offers English lessons but the teacher doesn't speak English. But even more worrying for Naseer is the lack of a quality Islamic seminary to school his son in Islam's holy book. Several children from nearby villages were home on vacation from a madrassa in Pakistan and Naseer said he heard them recite the Quran and "their words were so sweet." He decided then to send his son to Pakistan. Naseer said he wanted a madrassa with a dormitory that would house and feed his child. They don't exist in his area, he said. He loaded his son along with 26 other children into the two vans, gave his son a change of clothes and gave some money to the men taking his child to Pakistan "but only for transportation." But senior police official Fazlur Rahman Bustani in Kabul said the movement of children is a business and a dangerous one, regardless of whether parents willingly send their children. "Those involved in the transport of children are part of a dangerous network and it is a criminal act," said Bustani. "It doesn't matter if the parents approve." Associated Press writers Abdul Sattar in Quetta, Pakistan, and Amir Shah in Kabul, Afghanistan, contributed to this report.